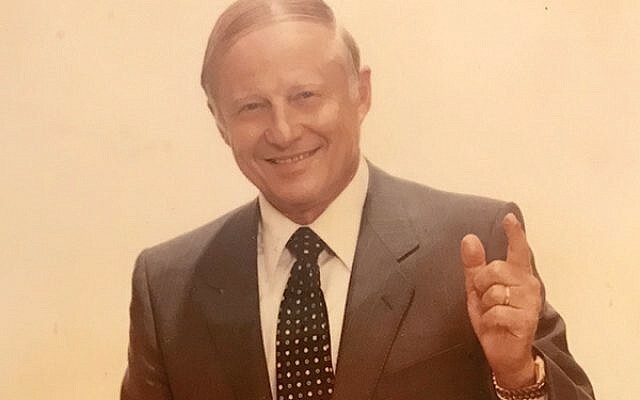 Felix Beck, 93, of Boca Raton, Fla., died March 26, 2019. He also lived in Livingston and Highland Park. Mr. Beck graduated with honors from Rutgers University in 1950 and received his MBA in 1953. He was a graduate of Highland Park High School. He served in the U.S. Army during World War II where he was the youngest second lieutenant. He was chairman emeritus of Chase Home Finance from 1994 to 2009. From 1992 to 1994, he was chairman and CEO of Margaretten Financial, a mortgage banking firm, and before that chairman and CEO of Margaretten, a subsidiary of Berg Enterprises. He was executive vice president of J.I. Kislak Mortgage Corporation from 1957 to 1969. Mr. Beck served on numerous boards. He was president of the Mortgage Bankers of America from 1983-1984 and sat on the board of directors of The Federal National Mortgage Association from 1985 to 1996. He testified in Washington, D.C., on mortgage-related issues and was instrumental in the introduction of the adjustable rate mortgage. A long-time member of Temple Beth Shalom in Livingston, he supported numerous charities including United Jewish Federation, the Mental Health Association, and Paper Mill Playhouse. Predeceased by a son, Jeffrey, he is survived by his wife of 68 years, Doris; his sons Bruce (Janet) and Steven (Lauren); daughter-in-law, Karen; four grandchildren; and two great-grandchildren. Services were held March 29 with arrangements by Bernheim-Apter-Kreitzman Suburban Funeral Chapel, Livingston. Memorial contributions may be made to the Rutgers University Foundation at support.rutgers.edu.